← #LCSM Chat Topic 4/6: Who Needs Research Anyway: How Have You Been Impacted by Lung Cancer Research? Home » #LCSM Chat » #LCSM Chat Topic 5/4 — The PDQ on MTBs: Why are multidisciplinary tumor boards important in #lungcancer? 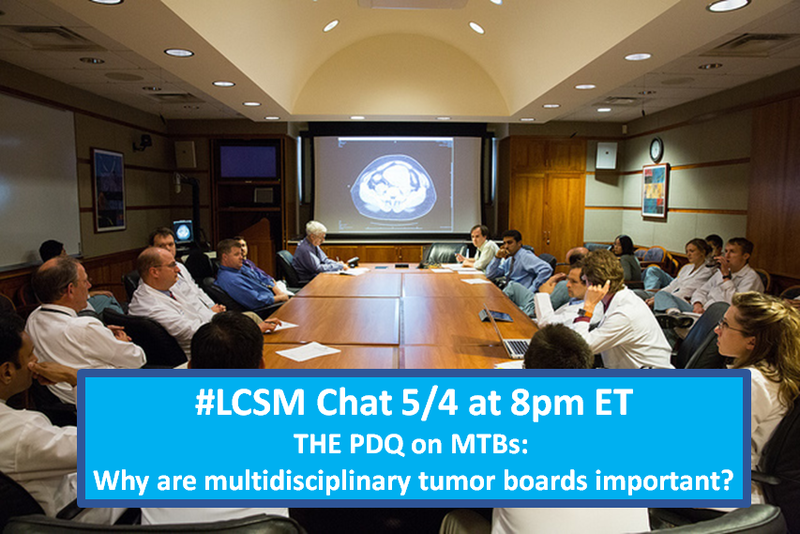 #LCSM Chat Topic 5/4 — The PDQ on MTBs: Why are multidisciplinary tumor boards important in #lungcancer? This is a reblog of a post I wrote on lcsmchat.com. Lung cancer is a complicated disease. Diagnosing and treating complex cases can require skills that cross a variety of medical specialties. Larger medical centers and hospitals may decide to discuss complex cases in tumor boards that include physicians that represent a variety of medical specialties. Our May 4, 2017, #LCSM Chat (at 8pm Eastern, 5pm Pacific) will focus on defining what a multidisciplinary tumor board (MTB) does, who is involved, and why MTB are important in the treatment of lung cancer. Pathologist: specializes in identifying diseases and conditions by studying abnormal cells and tissues. Pulmonologist: specializes in the diagnosis and treatment of pulmonary (lung) conditions and diseases. T1: What does a multidisciplinary tumor board (MTB) do? 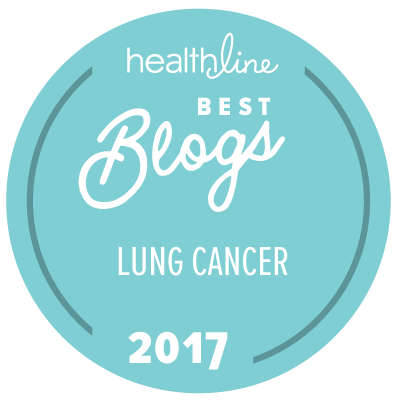 Why is it important in #lungcancer treatment? T2: What types of #lungcancer cases can benefit by MTB review? T3: Who should be involved in an MTB? What medical specialties are usually represented? T4: How often does an MTB reach a consensus about diagnosis and treatment recommendations in #lungcancer? T5: What can patients do if their hospital does not have an MTB? What is the role of telemedicine? Please join us for this valuable discussion. If you’re new to tweet chats, this primer will help. This entry was posted in #LCSM Chat, Lung Cancer, Precision Medicine. Bookmark the permalink.